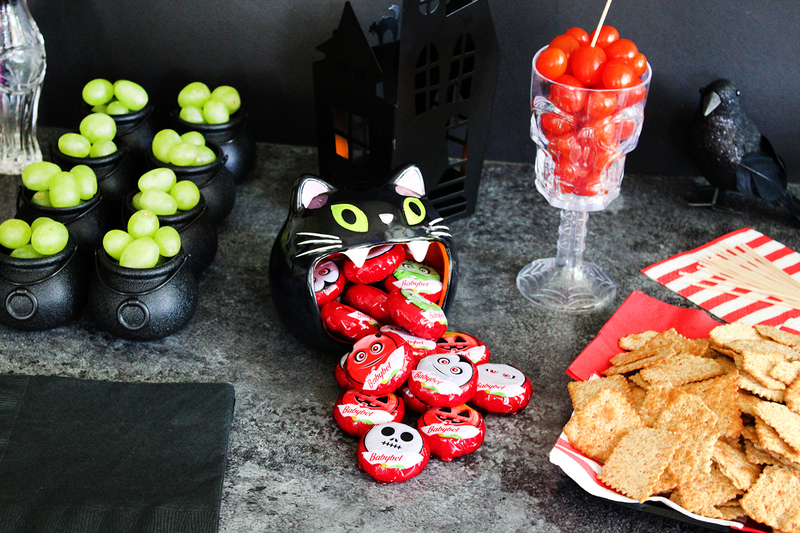 Southern Mom Loves: Fun and Healthy Kids' Halloween Party Snacks! 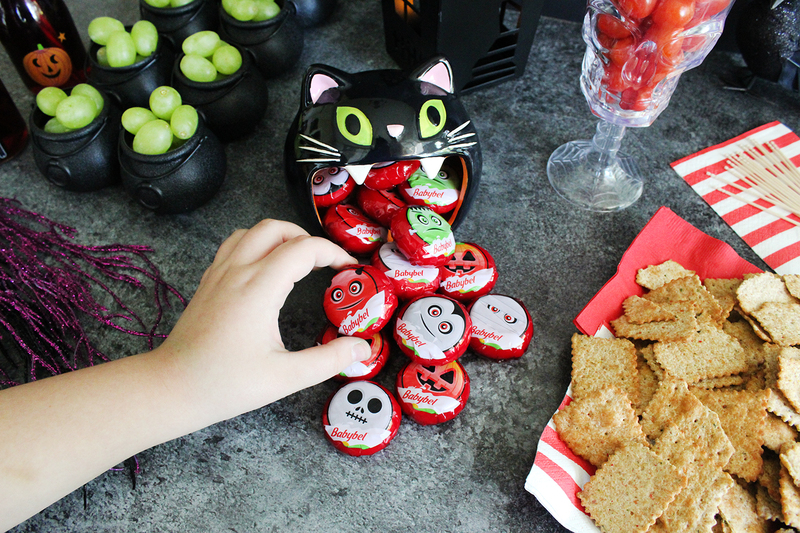 Fun and Healthy Kids' Halloween Party Snacks! 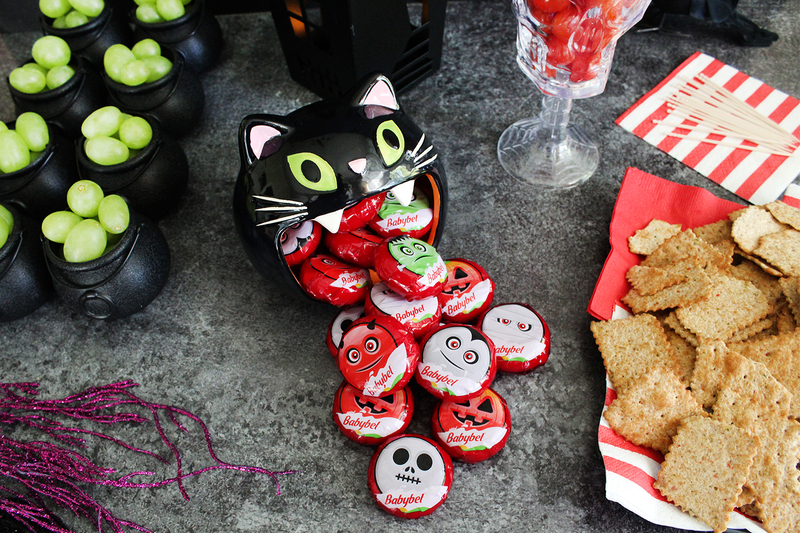 Halloween is known for its spooky sweet treats, but it doesn't have to be all about the candy! 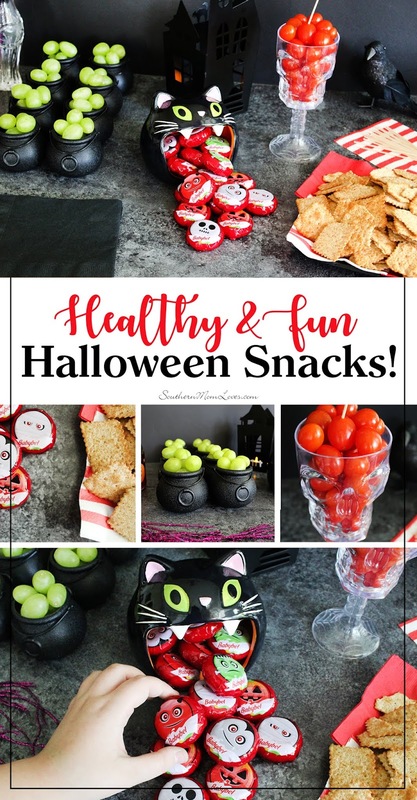 You can provide fun and healthy Halloween snacks between bouts of Trick-or-Treating that will give the kids some balance but keep them coming back for more! 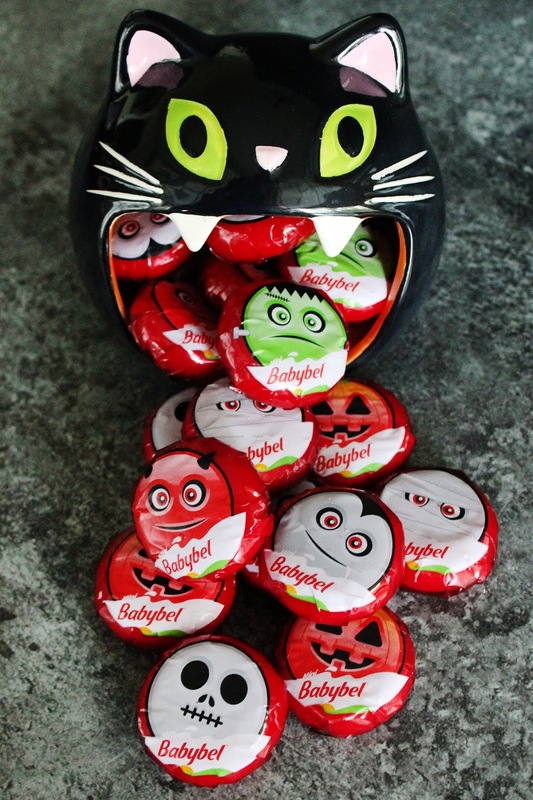 Kids and adults both love opening up Babybel with the fun pull-tab, but they also love the creamy cheese inside. With 6 varieties to choose from, you're sure to find a family favorite or two. Check out all of the flavors here. 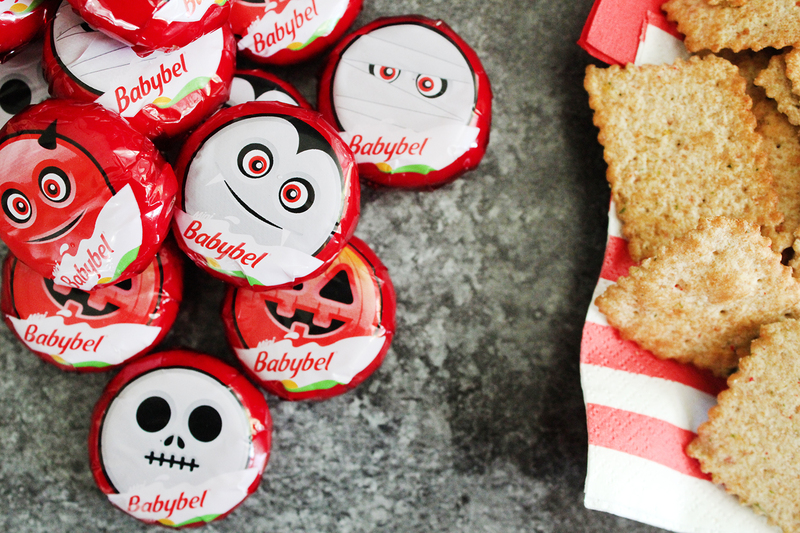 They're perfect for a Halloween treat table served with a few other healthier options, like baked chips instead of fried or crackers instead of chips. They still serve up a ton of flavor without all of the grease and are perfect with a side of creamy cheese. 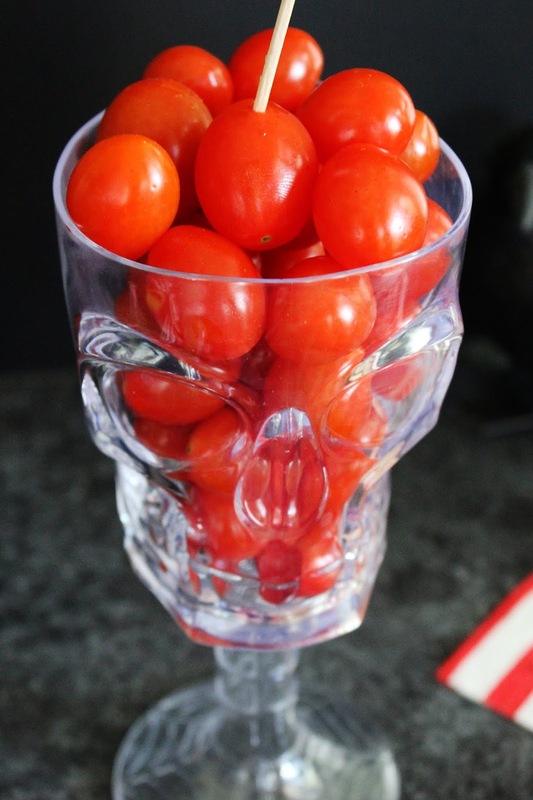 Cherry tomatoes are a favorite in our house and you can serve them in a spooky container or on a platter with a dab of cream cheese and a slice of black olive to look like bloody eyes. 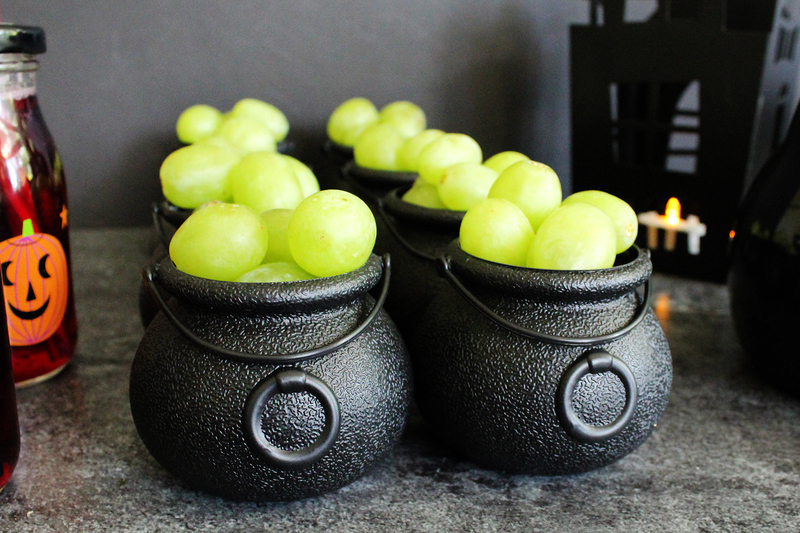 I found these containers and thought green grapes would be perfect to make them look like bubbling witches' cauldrons! 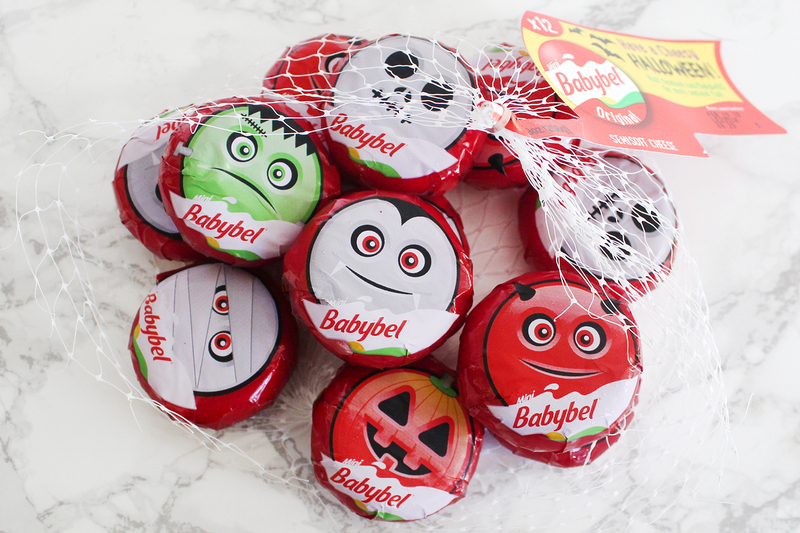 Whatever you're serving this Halloween, make sure you grab some Mini Babybel from Target and take advantage of the 10% off offer (only at Target stores!) through the month of October. Find a retailer near you here. What are your favorite healthy snack ideas for kids? What do you think of these? I love to read your comments! *No significant difference has been shown between milk derived from rBTS - Treated and non-rBST treated cows.